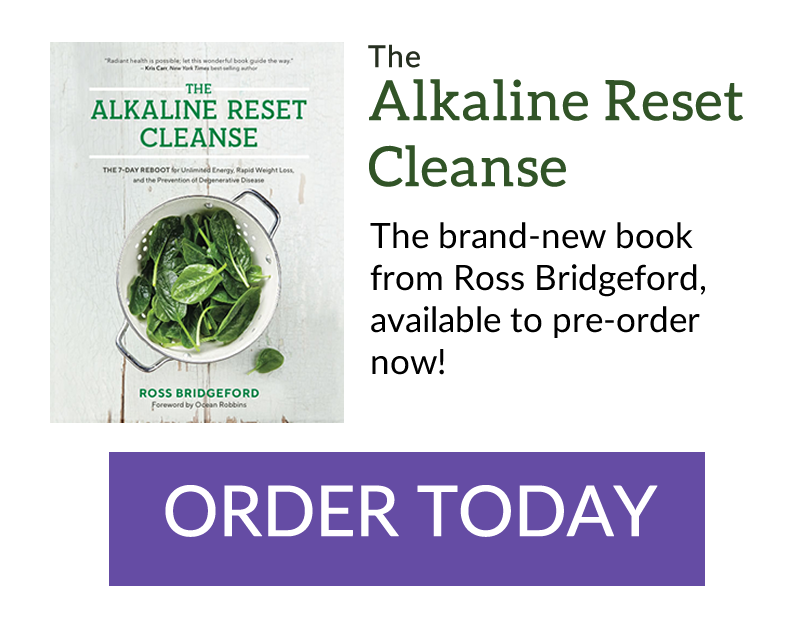 I remember coming away from my first ever Tony Robbins event, pumped up and ready to ‘go alkaline‘, but with one very puzzling question – what on earth are green drinks. I mean, I could guess as far as to consider it to be a safe bet that it was a drink that was green in colour – but what on earth was making it green and why would I want to drink something that was green? It took a bit of research to find out back then (we’re talking 2004, they were nowhere near as popular as they are now!). But now, after fifteen years of glugging them several times a day I can consider myself somewhat of an expert. …and the benefits they bring. I was also the director of the UK’s biggest green drink retailer for about 7 years, so I know exactly how to spot a good one from a bad one, what to look out for and in this guide I’ll give you all of my recommendations. So, What are Green Drinks? A green drink is the outcome of mixing a powdered supplement with water. It is cunningly titled, as the ingredients commonly used means that mixing it together makes the water turn green. Green drink supplements are usually a mixture of different grasses, vegetables, algaes, fruits and other superfoods that have been dried in any number of ways (flash, freeze, dehydrated, slow etc). They can be just one ingredient, or up to 50+. And while I recommend a mixture, I think the sweet spot is about 8-10. While some brands aim to squeeze as many ingredients in as possible, others try to focus on just a core selection of around a dozen. The greens are full of nutrients and goodness. They give me much more energy and back when I started, they helped my skin to clear up no end. I also have not had a cold for years since using them. The benefits of green drinks goes well beyond this, but the above are my own personal reasons and benefits. These issues disappeared within weeks. Which Green Drink is Best? Quality: it goes without saying you want to buy a good quality product. A poor quality product is worse than having nothing at all. Not only will it bring no benefit, but if it’s also filled with fillers such as Magnesium Stearate, Carrageenan, Titanium Dioxide, Gelatin and so on it will also be detrimental to your health too. A good marker of quality is the green drink NOT containing these ingredients – PLUS – it being organic and non-GMO. If the manufacturer has gone to the length of sourcing organic ingredients, you can feel pretty sure that quality is high on their agenda. Type of Ingredients: you want a good range of ingredients – at least six. Ten to twelve is great, more than fifteen is really a little too much for my liking – any more than 10-12 and you get a thin, wide spectrum of nutrients. You also want a variety of nutrients too. The reason for my recommended green drinks below is that they contain a good mix of greens AND other alkaline, anti-inflammatory ingredients such as turmeric, sprouts and moringa. Value for Money: the price of the product is not the only variable – you HAVE to look at the number of serves per tub too and work that out against how many you’re going to have per day. You’ll note in my suggestions below, they contain such awesome ingredients that you really only need to use the product once per day. Beyond Greens – a full, earthy, nutty taste. The nuttiness is brought about by the ingenious introduction of flax and other seeds to the green drink mix. Has a good range of ingredients which makes it quite friendly on the buds, and is not too over powering. Not as neutral a taste as others, but certainly more pleasing on the palette than powdered wheatgrass alone. The only downfall is that the bitty-ness of the ingredients means that it needs constant shaking and stirring otherwise you end up with a bit of a thick last few mouthfuls. SuperGreens – very neutral and probably comes closest to the taste of actual garden grass (yes, admit that you ate grass from your garden when you were a kid too). It is fairly pleasant and mixes well into water, although it can lead to coughing for a while if you use really cold water. Is very conductive to glugging on the run and its colour does not cause too many shocked looks from workmates/fellow commuters as it is very pale. Consistent on the thickness so you do not get the wince on the last mouthful. Alkalive Green – often dubbed the ‘ladies choice’ due to its sweeter taste, Alkalive Greens are probably the most easily drinkable of the greens on the market at the moment. Its glowing colour raises a few eyebrows so it is a definite choice for those who like to be noticed. Requires some shaking along the way, but not as much as Beyond Greens. Offers the best value for money without sacrificing even one little bit of quality. My personal favourite (and I’m not even a lady). Ultra Greens – a more manly green drink (Tony Robbins wouldn’t stand for anything else). Ultra Greens packs a punch, but retains the neutral taste favoured by most green drink connoisseurs. Like Tony, this is smooth and it also has some ingredients (such as Methyl-Sulfonyl-Methane – MSM) that other greens do not have. Definitely a strong contender as it is good value for money too and lasts quite a while. I guess what the taste-o-meter is getting at is – it depends on your own taste preference (maybe they were right not to include it in the matrix after all). All of the above are top quality and I happily use them all and experience the same benefits regardless. I just so happen to prefer the sweetness of Alkalive at the moment, but I have got a pack of Beyond Greens in my fridge too. Ultra Greens is the current popular choice with the rest of Energise HQ at the moment. We have tried to give you as much info as we can about all of the green drinks out there – good luck and let us know if you have any questions! using–drinking–Go Greens every morning because my doctor suggested that I do. are many new products they push and I have no idea where their orinal product went to.